UNIVERSITY PARK — Lamont Wade came to Penn State as an elite recruit from Clairton, and now the safety is looking to leave after not making much of an impact with the Nittany Lions for two years. Wade and two other PSU players — receiver Brandon Polk and cornerback Zech McPhearson — have submitted their names to the NCAA transfer portal, according to published reports Sunday. Being in the transfer portal allows players to be contacted by other coaches and schools, but it does not guarantee that they will transfer. Wade was the No. 2 recruit in Pennsylvania and No. 43 in the country by 247Sports two years ago after a stellar career at Clairton High School, near Pittsburgh. He played in 12 games as a true freshman in 2017 and was an honorable mention all-Big Ten selection. Bigger things were expected of Wade this past season, and he played in 12 games as a safety and on special teams. He was not able to crack the starting lineup, though, and rarely stood out on defense. Wade finished the season with 18 tackles, one sack and two tackles for loss. The 5-foot-9, 194-pounder played behind Garrett Taylor, who has one more year of eligibility remaining. If Wade does transfer, he would have to sit out a season, as per NCAA transfer rules. Polk has had an up-and-down career at Penn State. He caught six passes and carried 18 times for 159 yards in 2015, when the Lions’ offense was severely limited and he was used to help open things up. He was limited to three games in 2016 because of injury and was granted a medical redshirt. Polk caught 10 passes in 2016 and nine this past season, including two for touchdowns. But he did not have a catch in the final seven games. He has one year of eligibility left and, as a grad transfer, can play immediately next season. McPhearson was a redshirt sophomore this past season and appeared in 12 games, after appearing in 11 in 2017. He finished with eight tackles, one for loss, and two breakups. McPhearson has two years of eligibility remaining and will have to sit out one season if he transfers. 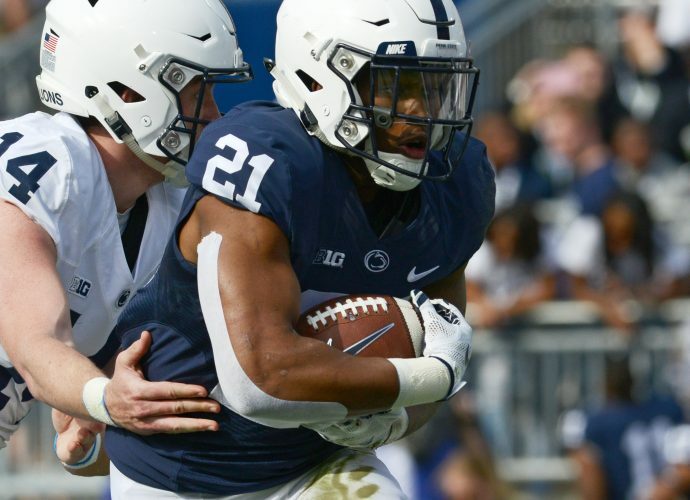 Penn State now has four players in the transfer portal, the other being receiver Juwan Johnson, who already has announced that he will transfer.